No mass-marker car manufacturer is into building trackday cars quite like Renault. And none incorporates as much of its F1 engine technoilogy into improving the efficiency of its roadcars. Not surprising, then that RenaultSport enthusiasts are invited to sharpen up their driving skills by booking on to one of this year’s exclusive trackday events at world famous circuits like Silverstone and Brand Hatch. 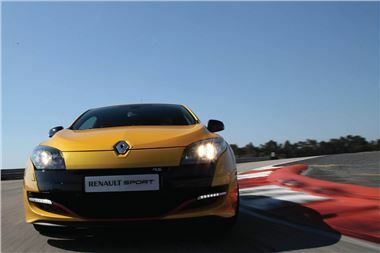 These events give participants the opportunity to drive their own award-winning RenaultSport car on a race track and receive expert tuition with the emphasis on improving driving technique. These trackdays are the ultimate for all RenaultSport enthusiasts, with professional instructors on-hand to listen to your views and questions and share their tips, plus they can get the most out of their high-performance car without the fear of speed cameras and traffic jams. At each event, owners will be able to try the latest Renaultsport models with the new Twingo Renaultsport 133, Clio RenaultSport 200 Cup and Mégane Renaultsport 265 Cup. At Silverstone, you can even hire a Clio or Mégane Renaultsport to use on track. Prices for the trackdays, which have been running for 10 years, are subsidised by Renault UK to help participants to improve their driving skills, and additional instruction on each of the days can be purchased for just £10. First time and experienced trackday drivers are all welcome at each of the prestigious venues. Trackdays make the perfect gift for Renaultsport enthusiasts and vouchers can be bought to make the occasion even more special, while second drivers go free at each of the events. The RenaultSport Heritage Collection display will be rolling to each of the venues and a photographer will be on site to offer all the drivers free pictures after putting their hot hatch through its paces on the circuit. For more information and to book visit www.renaultsport.co.uk/roadcars/trackdays, where you can watch the Video Guide and look at the Frequently Asked Questions. Spaces are strictly limited and will be allocated on a first come, first served basis. Customers can find further information at the dedicated Renaultsport website, http://www.renaultsport.co.uk/roadcars/trackdays/overview/Default.aspx , on Renault TV on Sky Guide 883 and Freesat 651, at www.facebook.com/renaultuk or by following on twitter @renault_uk.